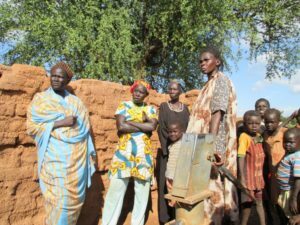 Support to the Northern Bahr el Ghazal State Ministry for Water, Cooperatives and Rural Development to develop, and subsequently review a framework and coordinated approach for the operation and maintenance of handpump supplies in the state. Northern Bahr el Ghazal faces a major challenge to ensure sustainable water services to rural and urban communities. In the past Unicef’s regular supply of spare parts helped to keep the number of broken down hand pumps to a relatively low level (officially around 10%). With no more free spare parts from Unicef the number of non functioning hand pumps could increase dramatically. The consultancy involved the development of a framework that tries to turn a potential crisis into an opportunity. The framework sets out a vision for the sector and defines ten key actions for operation and maintenance for Northern Bahr el Ghazal. It was reviewed in the second visit, with key recommendations made for all stakeholders.